Next on our list was the Chausath Yogini temple of Mitawali located about 18 km from Sihoniya. The village of Mitawali is located close to Padhavali, on the way from Sihoniya. 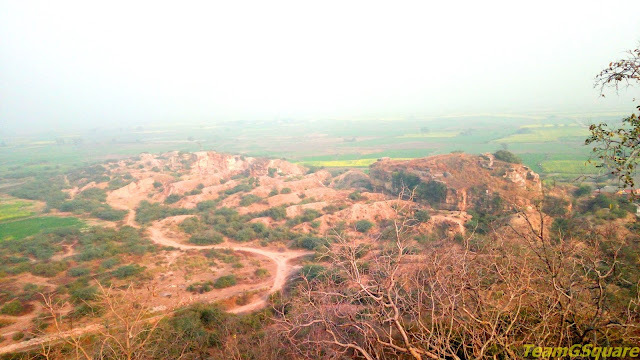 The drive was quite enjoyable along the ravines of Chambal. We were only wondering how it was when the dacoits were all around, with horses and the guns. After driving for about 25 minutes, we were able to see a small circular temple atop a hill. 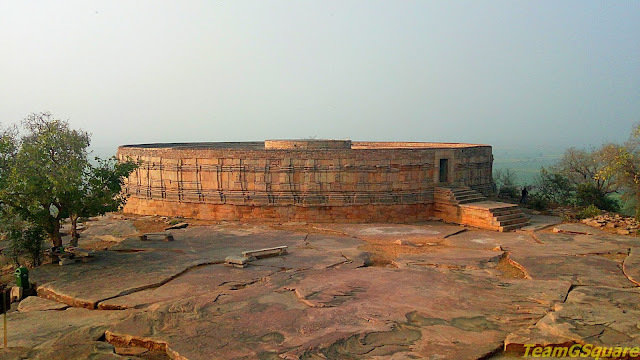 This temple from far resembled that of the Hirapur Yogini temple, which is also circular in shape. Though many people believe this temple to be an inspiration behind the construction of the Indian Parliament, it could also be an easy coincidence with the resemblance of its shape (further reading). 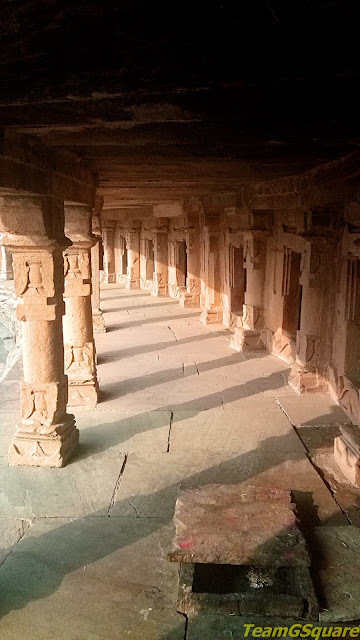 The beautifully laid sandstone steps lead us to the temple on the small hillock. There were a few people here who had come to visit this temple and the care taker was also present. A small doorway on the eastern side welcomed us into the temple. The temple is hypaethral (with no roof) and comprises of a circular cloister around an open courtyard over a high plinth. There is also a central circular shrine facing east in this courtyard. This temple was constructed in 10th century by the Kachchapaghata rulers. 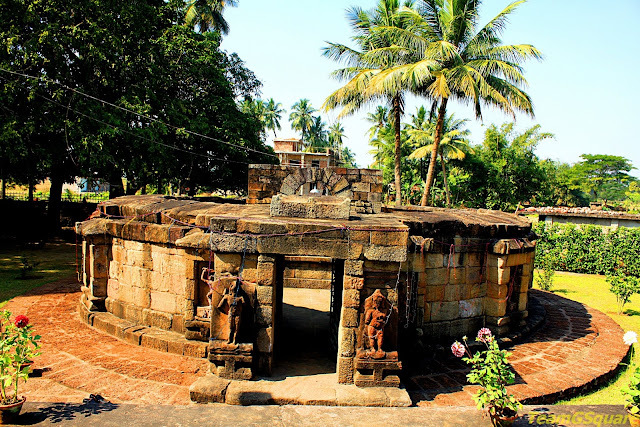 But as per inscriptions found here, this temple dates to 1323 AD and is said to have been built by Maharaja Devapala and also states it to be the “Ekattarso Mahadeva Temple”. It may have happened that the king converted the original Yogini temple into a Shaiva temple by placing a Shiva Linga in each of the 64 cells here. Though there are no records to prove the above statement nor that the temple built originally was a Chausath Yogini temple, it is only based on the assumptions of shape, number of cells and certain recent studies undertaken here that point it towards being a Yogini temple. This temple is very much similar to the Chausath Yogini temple of Hirapur (near Bhubaneswar) and Jharial (also in Odisha) and closely resembles the Yogini temple in Bhedaghat (near Jabalapur, M P). 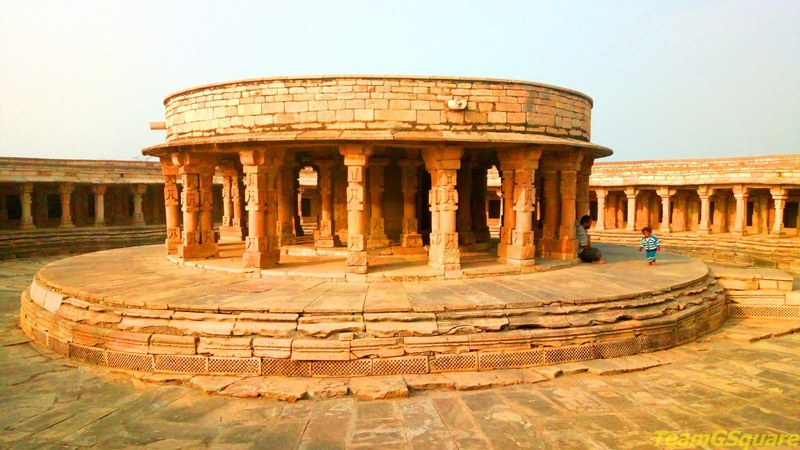 However, the Yogini temple in Khajuraho is square in plan, unlike the above and does not comprise of any central temple. 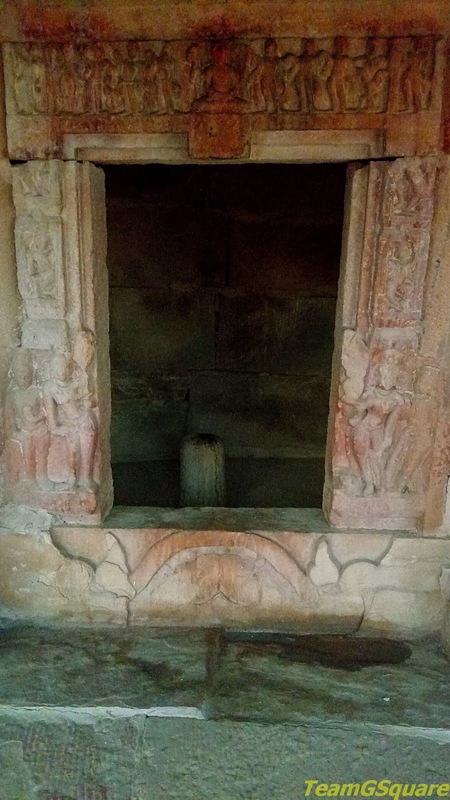 Though doubt persists about whether this was originally a Yogini temple or not and is rather difficult to prove so, it is good to see that most of this temple remains intact today. 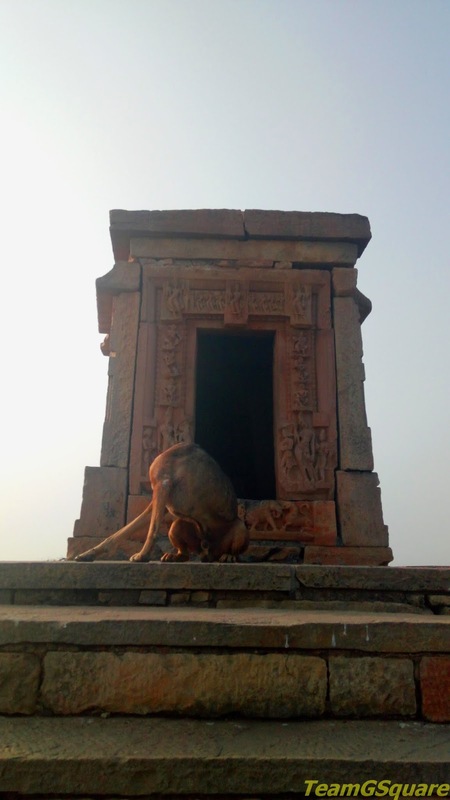 This was the first of the surviving 3 Yogini temples we visited in Madhya Pradesh. 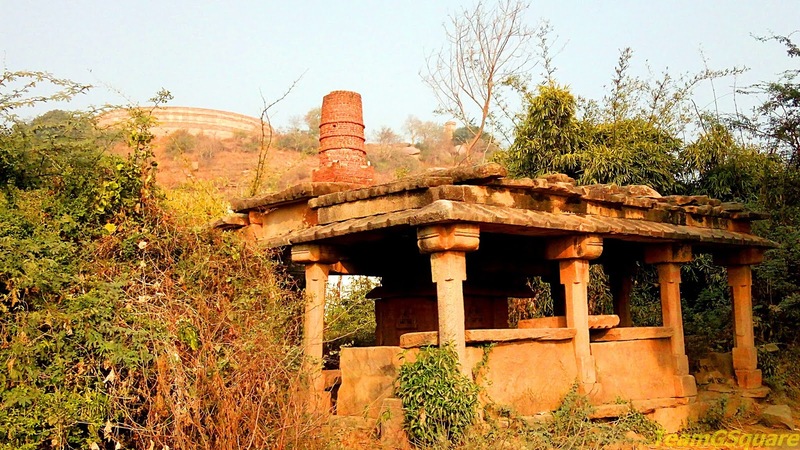 There is also a small shrine dedicated to Lord Vishnu outside this temple, with another ruined shrine at the hill base. 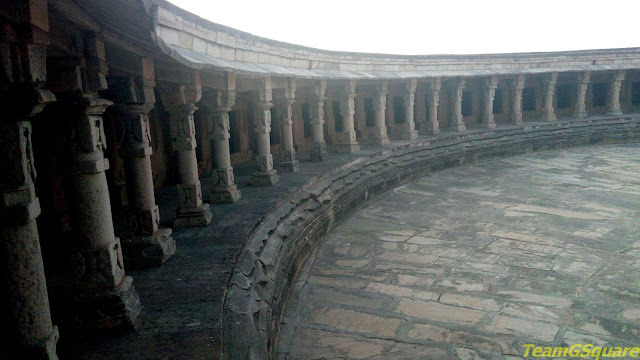 How to reach Mitawali: Reach Nurabad which is located on the Gwalior-Agra Highway, take right turn towards Padhavali and proceed further to reach Mitawali, about 35 km from Gwalior. Accommodation: There are as such no accommodation options here, though one can stay at Morena or Gwalior where options are plenty and make a day trip to this place. Where to eat: There are a few road-side eateries that make tasty chats, especially Aloo Tikki. Wonderful Temple. Great to read. Thanks for sharing amazing pics. 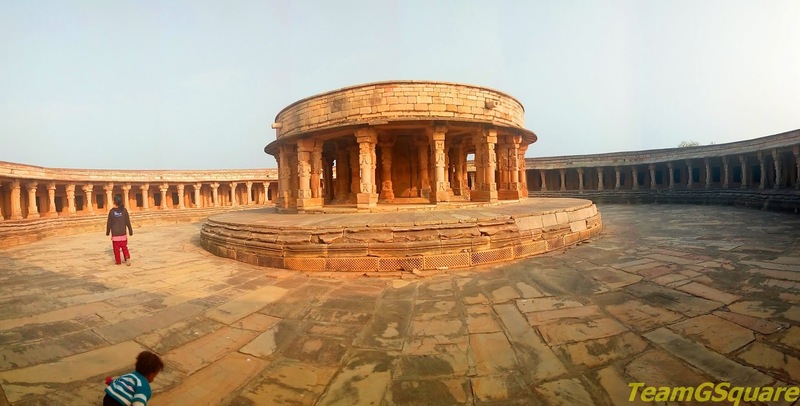 Very interesting circular temple. There is one in WB with 108 Shiva Lingas. Loved seeing the pics of this. Beautiful series of the temples. Beautiful, thanks for sharing your visit.